The abridged version of our info-graphic that went out with the newsletter. Check below for the full version. 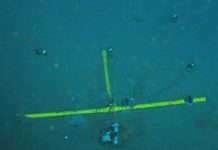 This was a big month for deep-sea meetings, with workshops on risk management and high seas cable laying, as well as strong representation from the deep-sea mining community at NOAA’s Ocean Exploration Forum. There’s so much going on in deep-sea mining right now that it’s tough for stakeholders to grasp the scale of the industry. 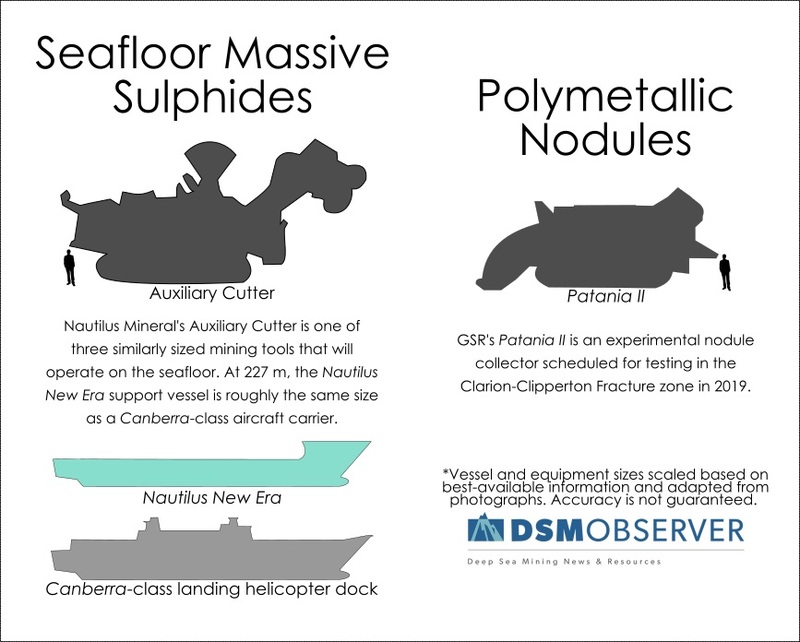 To help, we created a simple info-graphic to put polymetallic nodule mining in the Clarion-Clipperton Zone and seafloor massive sulphide mining in Papua New Guinea into context. Which perhaps leads us to the next big question: What’s going on with Nautilus Minerals, their vessel, and the status of Solwara I? I reached out to Nautilus Minerals to get an update on their current progress. Despite Mawei Shipyard rescinding the ship building contract earlier this year, vessel construction continues and is approximately 83% complete. 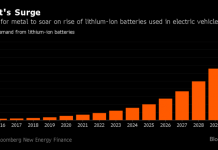 A representative from Nautilus estimates that initial production at Solwara I will be delayed past Q3 of 2019. In this issue, Harriet Harden-Davies reports on last’s month’s convention to discuss Biodiversity Beyond National Jurisdiction, Rachel Pendergrass breaks down the latest research on microplastics in the deep sea, and I discuss the recent submerged cables workshop. As a reminder, our goal at the DSMObserver is not just to report on developments in the broader deep-sea mining community, but to highlight new and emerging voices among stakeholders. We have a budget for freelance writers, so if there’s a topic or perspective you want to write about that hasn’t been adequately covered, send me a pitch! I’d love to hear from you.